ERITREA – THIS LAND IS OUR LAND! occupying another African country. They told us we did not exists. They decided that Eritrea, as a country, should not exist and the Eritrean language never spoken. Anyone telling the contrary was evil. Anyone fighting our carved destiny by others was told to expect a call from the grim reaper. Against all these odds, came our Freedom Fighters. Some were farmers, some highly educated and all from the very best fabric of Eritrea. They told their people that Eritrea existed then and will be an independent country. It took thirty (30) years of fierce fighting and the pain can only be compared to the depth of our pride. Our country is a country our elderly fought for and following generations died for its’ independence. It is absurd to watch now it’s’ legitimacy being brought into account by the very enemy that killed, handicapped and created the “one of the largest group of refugees in the world”. For Ethiopia to become the auditing force of the price paid, the force in charge of “giving back” a portion of our borders and yet taking much more is beyond any healthy mind’s comprehension. Not only the land is being tattered, but also the deep pride Eritrean are molded of is being challenged. The “peace dances, smiles and love hugs” cannot be intended to be an excuse to take back – by a subtle game and trickery – a land lawfully belonging to its’ people, that now we see be given “away” and be owned by “others”. It does no good to both parties dancing to a deaf tune now to brush these facts and hide them in a mass grave prepared in advance. The very agreement signed in Algiers is failing with the cardinal error that said agreement is being hatched and history re-written. This agreement is the starting point to withdraw troops and each nation turn their attention to their own country’s problems. The problem/trouble now seems that there are so many extensions and acceptances given as a bonus to Ethiopia. As it displays now, Eritrean Veterans should unite. Our intellectuals should unite; our different political parties/beliefs should unite. 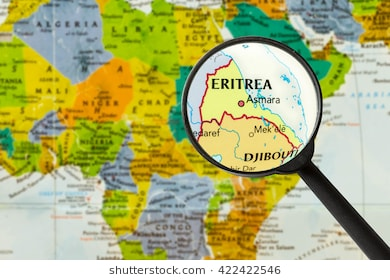 So the leaders in this deed of total amnesia can be reminded that they are leaving the most powerful forces behind and that is the combined 106 million human beings that both legitimate countries – Eritrea and Ethiopiashelter as their own population. Total amnesia seems the bug paralyzing politicians’ minds in this tornado that we, Eritreans, are trying to stop. International recognition and legitimacy is dubious if people are ignored. In order for peace to have a chance, Ethiopia has to back-off from the wish of Eritreans for Eritrea; and that means the 6 million we are. And stop insulting our intelligence. No bordering country with Eritrea can survive by pulling a curtain and assuming it will prevent the pungent smell of Eritrean corpses filtering from the Mediterrean Sea, or lifting and clicking the crystal champagne flutes hoping it will cover up the screams of tormented Eritrean mothers watching on TV screens capsized boats and bodies of young Eritrean generations that will never come back. Some Eritrean and Ethiopians might say, “That was then”. However, the “then” canned into history and the iniquities surrounding, is the cause of the pain each Eritrean has made its’ own. Ethiopia needs to own the inner scars and abdominal adhesions of open wounds and spluttering pus in each Eritrean mind and hearts, in order for peace to have a chance after years of war. Peace comes from asking for forgiveness and not flattering the few in power. Eritreans will never forget, but Eritreans have this extraordinary power and capacity of forgiving if a cathartic truth precedes true reconciliation. Far from making Ethiopia the only force to “liberate” our minds and our hearts after decades of pain, the idea that the new administration in Ethiopia calls for “love” for “faith” for “unity” and the idea that Ethiopia is still the center of its’ own never kept and delivered promises to their own people, makes me wonder how suddenly it (Ethiopia) ought to be the preacher of all our (Eritrean’s) consciences. How can one become the teaching of “co-existence” based on exclusivity to a claim of legitimacy, without conceiving separation of sovereignty of countries? What Ethiopia is suggesting is pulling apart warring parties. This does not heal old wounds, let alone redress historical wrongs. Eritreans are resilient. Eritreans proved to the world around – and not only to the occupier- that they dared to believe and dared to achieve. If future generations of Eritrea – in my mind the highest educated generation to be in Africa – will decide for an economical federation with Ethiopia, it is not an idea far-fetched to consider. However, this cannot be achieved if justice for Eritrea has not been attained and restored. Some might decide to live in the “promise land of Ethiopia” and others dream about the life “of all that could have been” in Eritrea. However, if the Prime Minister of Ethiopia – Abyi Ahmed – sees a self-approach forthcoming, he cannot expect the PEOPLE of Eritrea to be so magnanimous and forgiving in return…just because of his smile! The addition to this “make-believe” peace will be unending war and more suffering for the PEOPLE of both countries. It might be tempting for Prime Minster Abyi Ahmed to dismiss and ignore uncomfortable criticism. NOT evading that discomfort might lead to a final political correctness and protect the future of these neighboring countries at war for over a half century. Eritreans never denied Ethiopia the right to exist. At this time, political correctness from Ethiopia is needed for the good of Africa. It is a moral issue on their side to respect Eritrea’s right to exist. We are not asking for permission to exits, we need to unite and prompt our neighbor to the south to respect our unity when it comes to our land and our people. In closing, what is needed on our side? Victory asks for unity. Let us unite so not to see our beloved Eritrea being munched like a cake many wants to slice. The strong belief to achieve peace in Eritrea and make our own country FREE AT LAST is first unity among our Veterans (ELF, EPLF, WARSAY). Our Veterans brought back the right to exist for Eritrea. Now they can/should lead to unity and bring final peace in our land. Followed by unity among different “opposition” groups. Eritrean land’s and sea economic value seems to be chronically undervalued by Eritreans fighting each other. What is to be considered as a prime agenda is the long-term to prevent and to reverse the degradation of our society, of our economy let alone our hard-earned history. The leading political parties abroad should unite and then apply a sustainable management of our own politics. To facilitate changes requires adaptation of legal, social and policy-focused contexts that will provide answers to our questions and become a source of productivity. All Eritreans deserve the right to peace and to feel their land beneath their feet.